Here is a record to dispel the old myth that chant and early polyphony are really uniquely the province of male voices, men and boys. It is often forgotten that communities of nuns, within the walls of their enclosure, sang exactly the same liturgical repertoire as the monks, their male counterparts. Individual names of female singers do, in fact, emerge from time to time: the noble Blesilla in the fourth century, for example, commended by St Jerome for her excellent singing of the Alleluia, or Abbess Hildegard in the twelfth century, who composed ravishingly beautiful hymns and sequences. In our own century we have some good recordings of nuns' choirs, Argentan in Normandy is one, and St Cecilia's, on the Isle of Wight, another. But this disc represents something quite new: here is a professional all-female vocal quartet uniquely devoted to the performance of chant and early polyphony. 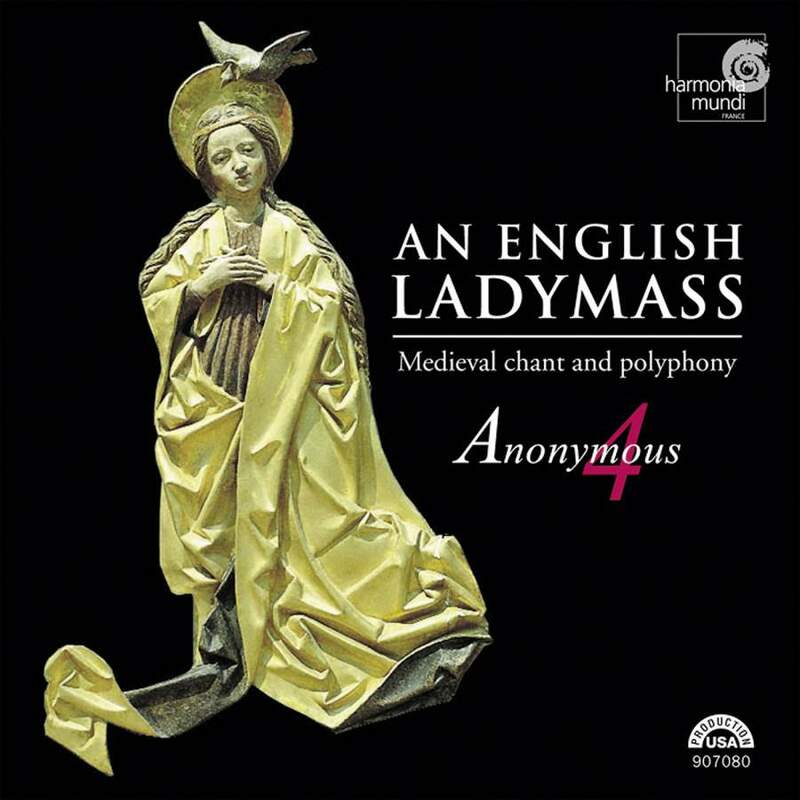 Anonymous 4, whose very title recalls the authorship of a famous medieval music treatise, have brought to the early-music scene a new approach and a refreshingly new sound. They sing with clean, unpretentious voices a programme of music that follows the basic structure of the Lady Mass, once so popular in England. They fill it out with a well-chosen selection of thirteenth- and fourteenth-century pieces in honour of the Blessed Virgin Mary: chants and polyphonic items, mainly in Latin, but including two items in the vernacular, namely the charming early strophic song Edi beo thu and the gentle sequence Jesu Christes milde moder. There is a captivating simplicity and directness about their performance, which naturally avoids many of the pitfalls of an overstretched attempt at reconstruction.